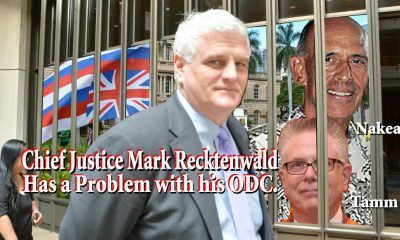 Honolulu, HI – The Chief Justice of Hawaii’s Supreme Court (HSC), Mark Recktenwald, has recused himself in a shocking case exposing his subordinates, previously disbarred Office of Disciplinary Counsel (ODC) Director Bradley B. Tamm, caught embezzling thousands of dollars from clients while abusing mind-altering substances, and ODC Board Chairman, Clifford L. Nakea, who appointed Tamm knowing he had been disbarred in California, all actions approved by Recktenwald. And if that’s not outrageous enough, Tamm and Nakea concealed evidence requested by honorable ODC investigators. They were working to disbar iHeart radio celebrity Gary Victor Dubin. The ODC’s indictment against Dubin was denied by Recktenwald. The Chief Justice’s rebuke caused investigators to gather more evidence against Dubin. 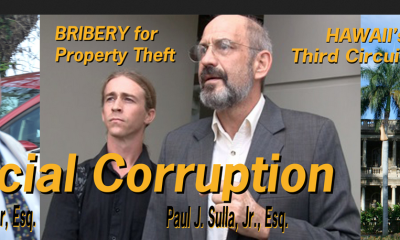 They learned of alleged complicity with fellow foreclosure scam artist, Paul J. Sulla, Jr. This Hilo attorney is publicly known for trafficking the nation’s most profitable hallucinogenic narcotic (“DMT”, dimethyltryptamine). They discovered that Sulla is under investigation for multiple counts of forgery. 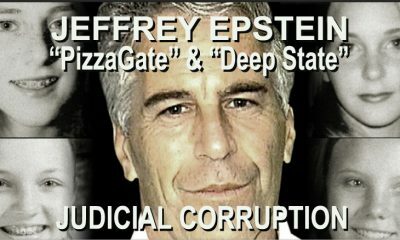 He is also charged by complainants Sherri Kane and Dr. Leonard G. Horowitz with stealing their properties and laundering money with the aid of Dubin and Tamm. Horowitz and Kane, the publishers of Medical Veritas Journal, further accused fellow Bar members Tamm and Sulla with obstructing justice, evidence tampering, and neglecting Sulla’s and Dubin’s crimes committed by a ‘judicial racket’ damaging countless foreclosed homeowners beyond Sulla’s and Dubin’s victims. Hawaii citizens and drug users across the United States are also at risk, according to the court records. The recusal by Chief Justice Recktenwald followed Horowitz’s filing of a complaint drafted with the assistance of ProSeLegalAide.com. Three earlier complaints had been filed by Kane. In the first she requested the ODC investigate Dubin. ODC Director Tamm dismissed Kane’s second and third complaints against Sulla and his co-counsel, Stephen D. Whittaker of Kona, HI. Tamm’s dismissal didn’t make any sense, because Tamm’s subordinates requested Kane’s evidence. 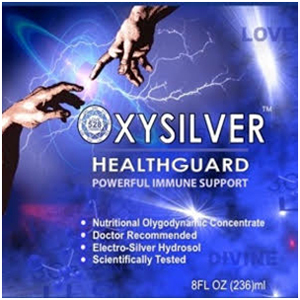 Kane, previously an investigator with FOX News, summoned her partner—Harvard-trained consumer health and natural medicine advocate, Dr. Horowitz, who could not believe the gross conflicting interests and actions Tamm committed. He then filed a massive complaint against Tamm that Nakea dismissed immediately without any inquiry. Horowitz demanded, but was denied, Nakea’s recusal and prosecution for ethics violations. That Horowitz complaint was instantly rejected by ODC Board Vice-chairman, Jeffrey P. Miller. Miller’s action, instead of recusal, violated the same ethics rules that Nakea’s did; the same rules that compelled Judge Recktenwald’s recusal. Recktenwald’s recusal, however, effectively hung his three subordinates—Tamm, Nakea and Miller—for ethics violations. Instead of recusing themselves, they acting with bias, prejudice and conflicting interests. 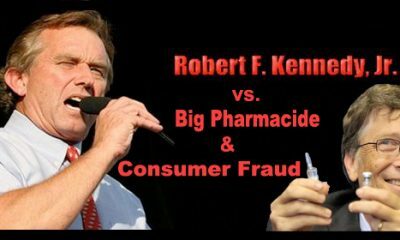 “It’s karma time,” said Horowitz, referencing his fifteen-year battle over the spa he bought in 2004 without knowing the seller was part of the “Hawaii drug mob” directed by Sulla. 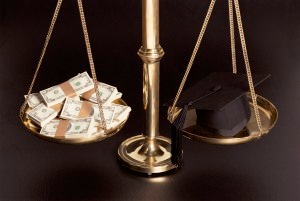 “Tamm took thousands of dollars of his clients’ money but failed to serve the contracts. Dubin did the same to me when he helped Sulla steal my property,” Horowitz explained. He now has three cases in the Supreme Court of Hawaii’s Intermediate Court of Appeals in which the judges have refused four-times in three-years to join Sulla as the only real-party-in-interest stealing the doctor’s estate. The Supreme Court of Hawaii’s Intermediate Court of Appeals and lower courts have refused to join Sulla 9 times over the past 8 years. Each time they have defied that most basic Rule 19 that secures a ‘civil’ procedure, and in this case Horowitz’s civil rights to a fair trial. In Hawaii there have been thousands of citizens’ properties stolen by corrupt lawyers and judges during the past decade, critics claim. And that’s largely because there’s no one actually enforcing the rules of civil procedure, state statutes, ethics rules, and disciplinary proceedings in most cases. Typically, ODC leaders simply rubber stamp form letters rejecting evidence based complaints. 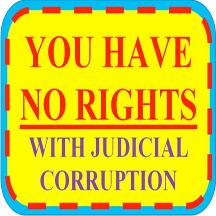 In rare cases where ODC investigators are actually permitted to investigate and prosecute corrupt lawyers, like in ODC v. Dubin, there is another hurdle–the Supreme Court Justices who may have their own conflicting interests or be susceptible to the lawyer’s influence. “Recktenwald can recuse himself privately,” the doctor added. “But we want him front and center to explain the facts that jump off the page about this obvious judicial racket exposing his subordinates, Tamm, Nakea and Miller, protecting Dubin, Sulla and their many crimes against society. Sulla’s forgeries, fake mortgage assignments, and three lower court judges’ willful-blindness thereof, resulted in Sulla stealing Horowitz’s 27-acre estate. The land, Inn and spa featured Hawaii’s only lava-heated steam saunas and bathing pools. Sulla’s theft cost Horowitz millions. He spent nearly $500,000 in attorneys’ fees. All this caused the doctor’s 2016 bankruptcy. Bankruptcy laws required the Trustee to ‘avoid’ Sulla’s property conversion scheme, and ‘recover’ the property in favor of Horowitz’s two creditors, Kane and the doctor’s lawyer, Margaret Wille. But instead of doing that, Tamm opposed Horowitz’s pleadings and sided with Sulla from the get-go. Tamm, Hu, and Judge Robert Faris neglected the evidence and granted Sulla the property. Later, when the ODC asked Kane for more information that concerned Sulla’s involvement with Horowitz’s fourth defense attorney, Gary Dubin, Tamm harbored Sulla again by dismissing Kane’s complaints. Sulla’s felony, Dubin’s negligence and complicity with Sulla, and Tamm’s actions supporting Sulla theft scheme during bankruptcy, resulted in Horowitz’s dispossession. Sulla’s crimes were confirmed by tax officials and state and federal law enforcers. ODC investigators were closing in on Dubin’s crimes when Tamm dismissed Kane’s evidence. At present, the couple remains homeless, and the ODC’s prosecution of Dubin is missing Kane’s evidence. Judge Recktenwald had opposed the ODC’s disbarment of Dubin. The Supreme Court chief shielded Dubin, like Tamm did for Sulla, and then ordered the ODC to gather more evidence. Honorable ODC investigators asked Kane to supply that evidence before Tamm intervened and dismissed Kane’s submissions. 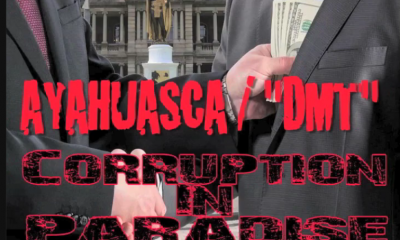 Kane presented ODC officials with her discoveries exposing Sulla’s ‘religious’ drug trafficking operation intertwined with his real estate money laundering enterprise. Sulla’s court records, sworn affidavits from ‘drug church’ members, and a video published online by Kane indicts him. The video records Sulla’s organization’s chief chemist explaining how Sulla’s agents make and traffic the mind-altering DMT hallucinogen. 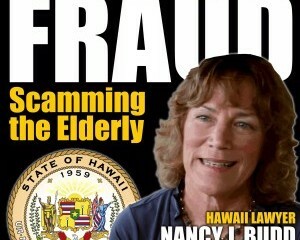 Hawaii is a Democrat-controlled state infamous for it drug trafficking. This is the gateway for smuggling drugs to America from Asia. President Trump’s border security measures were strongly opposed here. Now we know why. Hawaii has permitted a booming narcotics trade ever since the Opium Wars more than a century ago. This year alone, Sulla’s enterprise is projected to earn $1 billion from exploding “hoasca tea” sales across the U.S., based on 2016 federal estimates. And Sulla’s judicial protectors have permitted possibly thousands of Americans to be damaged from Sulla’s narcotic supply. Note: Many of Dr. Horowitz’s health science articles are published on MedicalVeritas.org and on 528Revolution.com. The doctor acknowledges ProSeLegalAide.com for the help he gained in prompting Judge Recktenwald’s recusal. Click for a pdf download of: ODC v Dubin Original Memorandum in Support of Petition 035327230. Click for a pdf download of: Bradley Tamm’s California Disciplinary Private Reproval File, including details evidencing alcohol and “self medication” record, embezzlement of clients’ money, evasion of making restitution payments to his victims, and unemployment and homelessness at the time he was taken in by the Honolulu Chapter of the Attorneys’ and Judges’ Support Group . . . sponsored by the Supreme Court of Hawaii . Click for pdf download of ODC Dismissal of the Complaint Horowitz filed against Nakea, issued by ODC Vice Chairman, Jeffrey P. Miller 1-11-19. Click for pdf download of Supreme Court Chief Justice Recktenwald’s recusal (of 1-8-19) to avoid an impression of bias or conflicting interest, in direct conflict with the ODC’s dismissals of the Complaint against Tamm claiming bias, conflicting interests, obstruction of justice, evidence tampering, and complicity in theft of Dr. Horowitz’s property. At the same time Judge Recktenwald converted the Complaint to a Writ of Mandamus, assigned Case No. SCPW-19-0000035, and directed First Circuit Judge James H. Ashford to adjudicate the case in the Supreme Court of Hawaii.